Vitamix Ascent Series™ blenders are compatible with a family of interchangeable container sizes, letting you prepare full-scale dinner parties or a personal smoothie to go—all with the same motor base. Whether you’re quickly chopping an onion or making salsa for 12, there’s a container for that. User-friendly controls simplify even the trickiest of recipes, whether you’re manually adjusting the blade speed or leaving it to an automated program. New built-in timers help you monitor the length of your blends to avoid over-processing. Or when you just need a quick burst of power, the Pulse feature comes to the rescue. 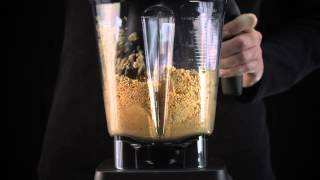 Vitamix is the blender most trusted by chefs and rated most favorably by owners.